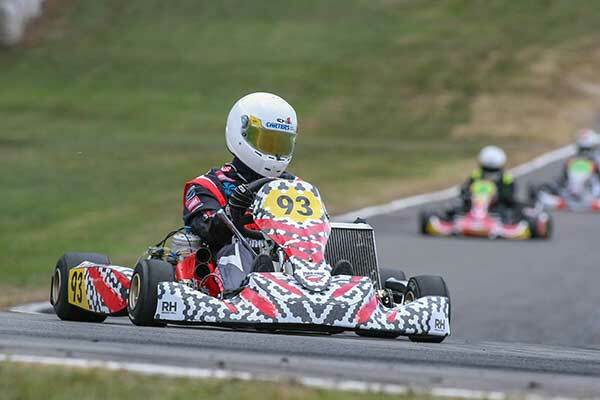 Taking a leaf from the Virgin Australian Supercars Championship, the organisers of this year’s Molecule ProKart Series have added a Top Ten Shootout to the qualifying format for the first time at the second round at the KartSport Tokoroa club’s Stihl Shop Tokoroa Raceway this weekend. 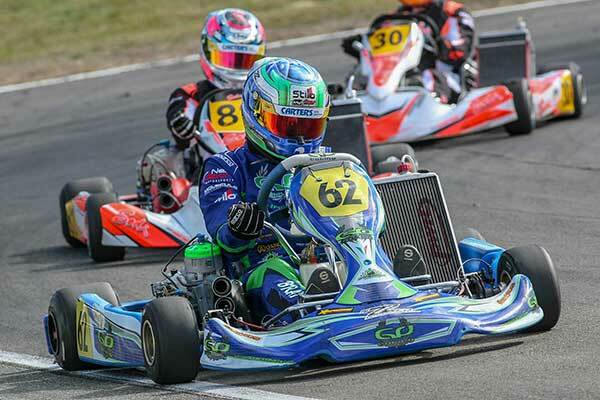 In a move which series’ promotor Steve Brown describes ‘as a real game changer,’ each Molecule ProKart Series class – Lascom Motorsport KZ2 and Lascom Motorsport KZ2 Masters/KZ4 – will have a main qualifying session then a Top Ten Shootout. Just like the Shootouts at selected rounds of the Supercars series the Molecule ProKart ones will feature single kart runs for each driver who posts a Top Ten lap time in the main qualifying session. The single-lap times then determine the make-up of the first 10 grid spots for the heats, with the other spots (those from P11 through to the back of the grid) based on times set in the main qualifying session. There is a special skill, he says, in going all-out after just one warm-up lap. In theory a kart set-up for one quick lap would also be quite different to that for a multi-lap heat race, so some drivers might optimize their karts to get a better gird position, whereas others might be happy as long as they are somewhere in the Top Ten. 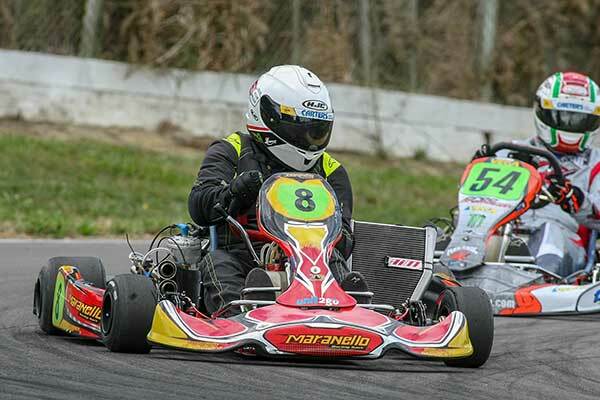 Auckland international Daniel Bray was at his dominant best in the Lascom Motorsport KZ2 class at the opening round of this year’s Molecule series in Palmerston North in February, qualifying quickest and winning all five races. So he is the obvious favourite heading to Tokoroa this weekend. With former class and series title-holder Ryan Grant absent this weekend, however, all eyes will be on recently-crowned class National Sprint champion Mathew Kinsman, and category young guns Madeline Stewart from Wellington, and Jacob Cranston from Palmerston North. Stewart finished second and Cranston third in the class Final at the Giltrap Group Sprint Nationals at Rotorua over the Easter weekend while last weekend across the Tasman Stewart qualified fifth quickest and finished a series-best seventh in the KZ2 class at the second round of the Australian Championships at Wodonga in rural Victoria. Series promotor Steve Brown, meanwhile, was the fastest qualifier and Lascom Motorsport KZ2 Masters class winner at Palmerston North, with series returnee Kevin Storr, class and series newcomer Nick Isaac and Tim Loughran battling it out over the two days for second, third and fourth spots. This weekend, however, former Masters class pace-setter and title winner Jared Mackenzie from Auckland will be back on the grid this weekend, meaning Brown and co. have some serious competition. There was something of a changing of the guard in the Lascom Motorsport KZ4 (nee KZ2 Restricted) class at the opening round, meaning another young gun, Regan Hall takes over ‘driver-to-beat’ status from long time class standard-setter Garry Cullum after a perfect pole and heat/Pre-Final/Final-winning run at the Palmerston North track. Wellington pair Jamie Pollock and series newcomer Julian Osborne were up for the chase but ended up splitting the minor money from defending title holder Garry Cullum and class stalwart Gerhard Benadie. KZ2: 1. Daniel Bray 92 points; 2. Madeline Stewart 88; 3. Ryan Grant 86; 4. Mat Kinsman 85; 5. Jacob Cranston 84; 6. Daniel Bugler 83. KZ2 Masters: 1. Steve Brown 92 points; 3. Kevin Storr 88; 3. Nick Isaac 86; 4. Enrico van der Griend 85; 5. Tim Loughran 84; 6=/Andrew Hunt, Darren Maguire 83. KZ4: 1. Regan Hall 92 points; 2. Julian Osborne 88, 3=. Jamie Pollock, Gerhard Benadie, Garry Cullum 86; 6. Brendan Benadie 83.